Snack Hacks are fun healthy recipes to make with your child that provide positive experiences with healthy foods. Spend some quality time together while building science, reading, and math skills. 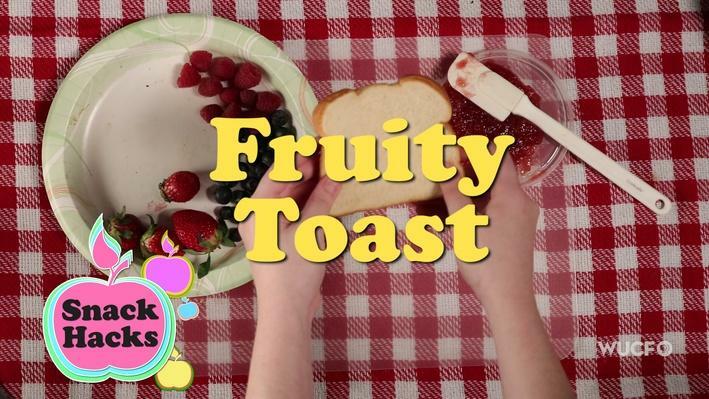 Create fruity designs on your Fruity Toast!